LoRiKooP plays with clay to make functional objects that are interesting and beautiful to look at. I love all the the organic forms in her pieces; you can really see her personality in the objects she creates. Tell me about how you originally got into your craft, Lori. Oh, sure. . . ahem. . . cough! (ugh) excuse me . . . ah, what was I going to say. . . oh yes . . .
A little longer... I fought putting more product out there for many years. Instead I embraced the process for others and taught art to kids primarily. My little creative corner got smaller and smaller until finally I couldn't breathe any more. It was either make stuff or die, sell or get a "real" job. I was given an opportunity to try. I knew I loved clay and using my hands. It was rather easy to decide. Well, not exactly. I gave up abstract oil painting for it, or so I thought. In reality the painting passion showed up in the clay. I still get to make surface textures, consider design, and work with color. I had no idea this would happen. Now, I am fully in my element. I've even started to incorporate the abstract line. My favorite thing to do is to be . . . be sucked up into the creative process cloud . . . bubble . . . or whatever it is. It's other worldly! and it's simply h-o-m-e. The administrative side. If I could sit and mess with clay all day, I'd be happier. The upside to the downside is definitely the people. I've been fascinated with the process of connecting with the world of art enthusiasts. In the future, maybe a part-time person to help with the paperwork would be nice. I love to be organized. Right now, it's been hard to part with the hanging planters. I love having nature around me and most surfaces in the studio are reserved or full already. Air space is available, and I love to decorate it. Teacher. Dentist. Fashion Designer. Computer Scientist. Business guru. Mostly I esteemed to make a $100,000/yr salary by the age of 30. Money was the mission not passion. This life thing has been QUITE a process. If I end up using my last bit of clay on my last day, it will have been perfect . . . imperfectly perfect, of course! Until then, I'm not exactly sure how history will be written, although I am very hopeful! In general, I am sensitive to art that expresses process, has an underlying sense of design, and whose color adds emotion. Jasna Sokolovic . . .
Ayumi Horie . . .
Diana Fayt . . .
and Shawna Pincus, my latest Etsy bff . . . I love to search the internet for others . . . painters, illustrators, designers, etc. My computer is FULL of fabulous finds and inspire-ers! My professional future involves creating, for sure . . . possibly a masters degree in ceramics (I'm trying) . 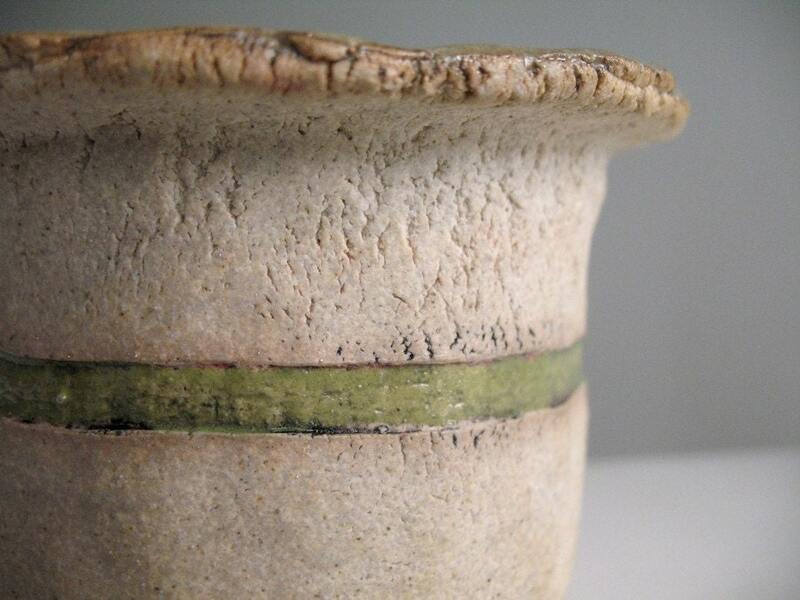 . . clay play that is fun and explorative, results in interesting forms and is expressly me . . . traveling to share techniques and discovered secrets. See what else Lori made at LoriKoop.com, Etsy, or LoriKoop.blogspot.com. And be sure to check back at Such Cool Stuff! tomorrow for a chance to win a fabulous prize from Lori's shop!